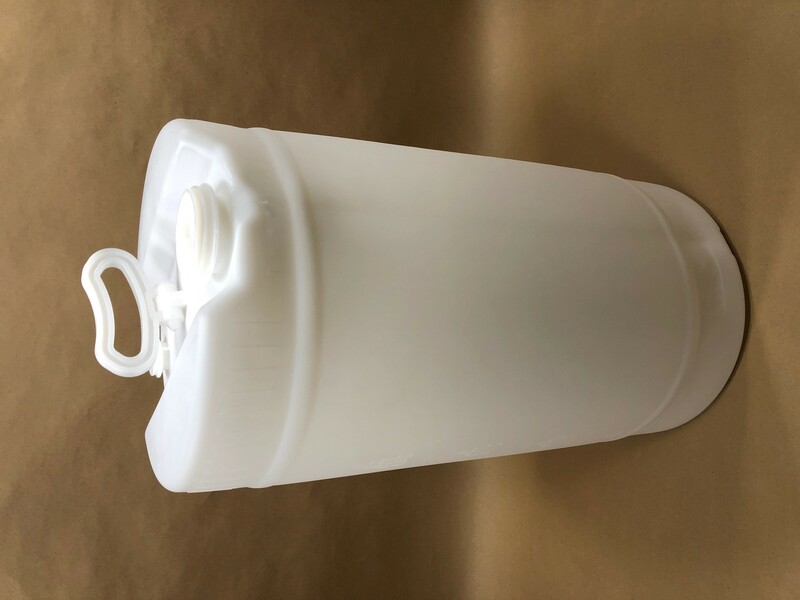 Our 15 gallon natural (translucent) plastic tight head drum is made from extrusion blow molded high molecular weight high density polyethylene. 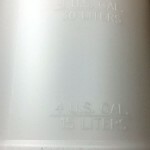 It is UN rated for hazardous liquids with a UN marking of UN1H1/Y1.8/150 and UN1H1/Y1.4/150 when vented. 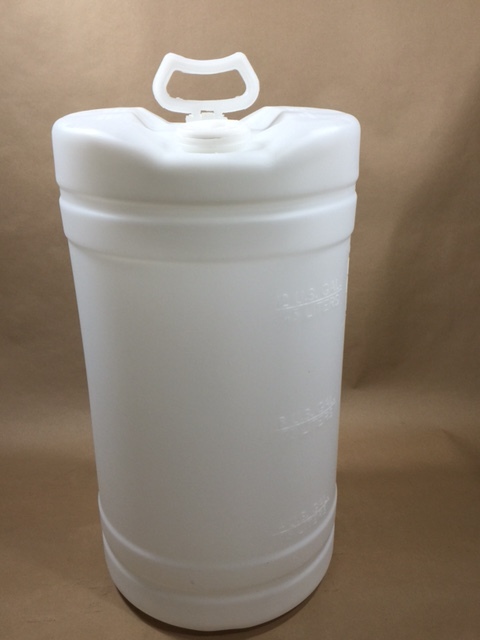 It has a single heavy duty recessing handle which facilitates ease of carrying. It has one 2″ and one 3/4″ NPS plug (National Pipe Straight Thread). 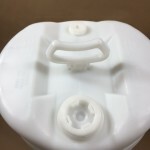 It also has liquid level markings of 4, 8 and 12 gallons and 15, 30 and 45 litres allowing for easy viewing of how much product is left in the drum. The minimum wall thickness of the drum is 0.110 inches. As always, compatibility of the product with the container is the responsibility of the shipper. The picture on the left below shows the 2″ and 3/4″ plugs. 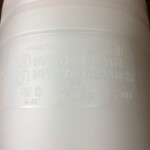 The center picture shows the UN markings on the drum. The picture below on the right shows the liquid level markings.